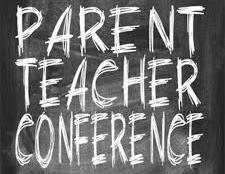 Feb. 9, 2019 -- The Parent/Teacher Conference Night for Heights High is Wednesday, February 20, 3:00 - 9:00 p.m. Heights Middle School Parent/Teacher Conference Night is Thursday, February 21, 3:00 p.m. - 9:00 p.m. If you experience any problems while signing up, please call (216) 320-(CHUH) 2484 for assistance. Sunday, February 10 - Monday, February 18. Click here for more information about the Heights High Parent/Teacher Conferences. Sunday, February 10 p.m. - Sunday, February 17th. The TEESO system allows parents to sign up for conferences at their convenience. Conferences will be scheduled on a “first come first served” basis, in increments of 10 minutes for each conference. If you do not have access to a computer at home, you may utilize any computer at the public library, or log in from your mobile phone. On Thursday, February 21, Heights Middle School students will be released at 1:25 p.m. If you are unable to schedule a meeting with one of your Heights Middle School student’s teachers on conference night, you can call your child’s guidance counselor to set up a teacher meeting at any point throughout the year. Your log-in for the system is the email address we have in Infinite Campus, and your password is ‘welcome’. If you do not have a parent email address on file you will need to select the link that says “Register My Email Address” and follow the instructions in order to log on.